ICARE Newsletters are also available in SPANISH. Please click here to view. 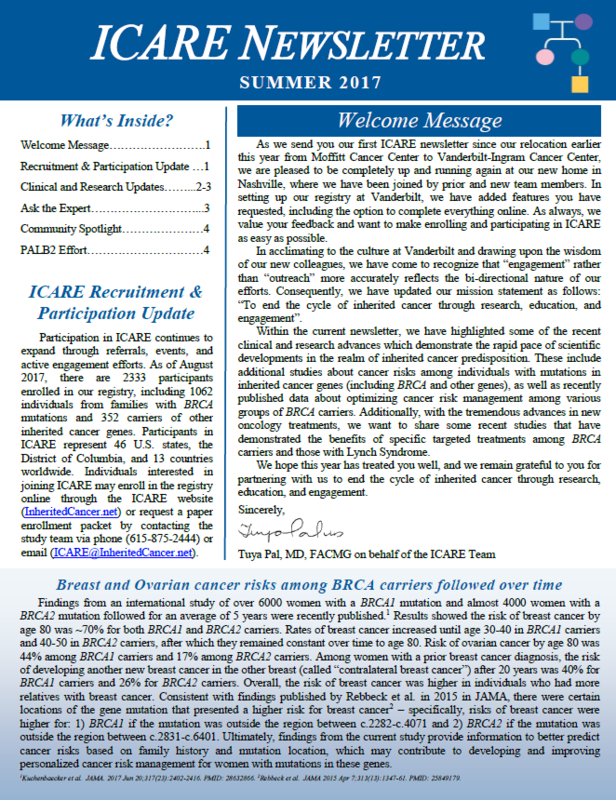 The ICARE study team creates bi-annual newsletters which briefly outline recent clinical and research updates pertaining to risk assessment, testing options, and management of those with inherited cancer predisposition. Also, included within the newsletter is a section on clinical trials for those with inherited cancer, as personalized treatments based on germline mutations are often only available at a small number of study sites. The newsletter is a means to disseminate updated information to healthcare providers and ICARE participants.